The armed struggle by the Liberation Tigers of Tamil Eelam which commenced in 1976 with the failure of peaceful struggles initiated in 1956 by the past Tamil political leaders, reached its climax in the Eelam war IV from 2006 – 2009. The war ended with a victory for the Sri Lankan government with the backing and silent consent of several countries, including the United Nations. 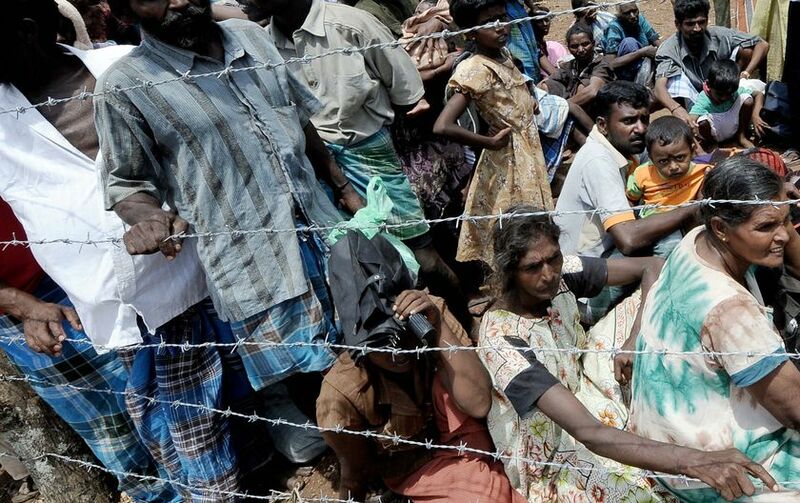 Even the UN and Human Rights Council depravingly applauded the Sri Lankan government for its success in 2009, which was achieved with the commissions of war crimes, crimes against humanity, etc, and harvesting 146,679 innocent civilian lives. The international community and United Nations woke up after independent western media and television channels exposed the horrific crimes committed by the Sri Lankan security forces including graphic live scenes of captured prisoners being summarily executed at point blank. Worldwide agitations by Tamil Diaspora and condemnations by various countries and human rights groups forced the United Nations Human Rights Council to appoint several Commissioners, Rapporteurs and internal panels to undertake comprehensive investigations into the war crimes conduct and actions of both Sri Lankan security forces and Liberation Tigers of Tamil Eelam. This process commenced in 2010 at the United Nations Human Rights Council and resulted in a historic resolution sponsored by United States of America and co-sponsored by Sri Lanka on October 1, 2015 which encouraged Sri Lanka to implement the various matters listed in the resolution. This article endeavours to mention in brief the various United Nations Commissioners core findings from 2002 – 2016 as well as the findings of other international human rights agencies which conducted their own investigations as to the commissions and omissions of Sri Lanka’s security forces from 2006 – 2010 including various comments and statements of dignitaries and world leaders. Year 2010 was the starting point for the international community and the United Nations to take notice of Sri Lanka’s human rights violations and initiating various steps to unearth the truths and expose the cover ups and false propaganda of the Sri Lankan Government. The United Nations Secretary General His Excellency Ban-ki-Moon later appointed the United Nations Panel of Experts on Sri Lanka in 2010, to look into the allegations of human rights violations and submit a report. Evidence was collected from various sources and human rights groups. The Unrow Human Rights Impact Litigation Clinic of American University, Washington College of Law submitted evidence and even filed a lawsuit against Shavendra Silva, a military general who commanded the 58th division during the war. The European Parliament also passed a resolution in 2012 calling for a United Nations commission to inquire into all crimes committed as recommended by United Nation’s Panel of Experts Report. Likewise Human Rights Watch and the International Crisis Group also called for an international investigative mechanism in 2012 while criticising the flawed Sri Lanka’s LLRC Report. Consequently in March 2013 the United States of America tabled a resolution in the United Nations Human Rights Council which allowed the then UN Human Rights Commissioner Navaneetham Pillay to continue her reports including visits to Sri Lanka. She visited Sri Lanka in August 2013 and presented an oral update to the UN Human Rights Council in September 2013. The 2013 US resolution in the UNHRC also called upon the Sri Lankan Government to conduct an independent and credible investigation into allegations of violations of the international human rights law and international humanitarian law as applicable. Northern Provincial Council, Sri Lanka in January 2014 passed a resolution unanimously to this effect. Tamil Nadu State Assembly, India representing 75 millions Tamils passed a similar resolution unanimously in 2014. Amnesty International urged the UNHRC to ensure an international investigation in 2014.
International Crisis Group called for a strong international mechanism to inquire into violations of international law by both sides in 2014.
International Criminal Evidence Project based in Australia described Sri Lanka in 2014 “as an Island of impunity and concluded” that vast majority of alleged crimes were perpetrated by Sri Lankan Security forces. 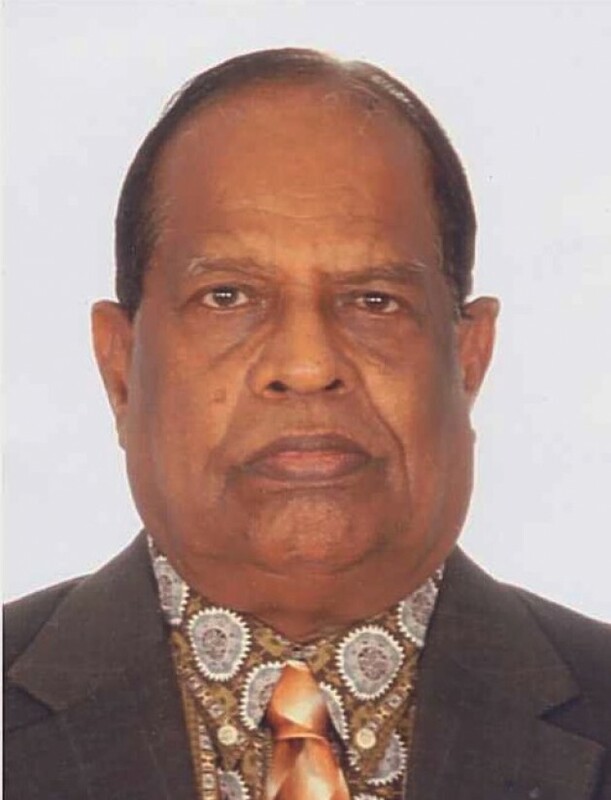 However, the Sri Lankan government has brushed aside these calls and put an end to the ‘international investigation’ cry and process with statements from the Sri Lankan President and recently from the Prime Minister of Sri Lanka on May 29th 2016 when he said that “judicial mechanism would be made of entirely Sri Lankan Judges,” which is already discredited in the UNHRC Commission’s report and rejected by the UN High Commissioner for Human rights. The war from 2006 to 2009 between Liberation Tigers of Tamil Eelam and the Sri Lankan government ended with 146,679 Tamil civilians killed and or missing. The International community later accepted commissions of war crimes and crimes against humanity etc, which could be proved as genocide after credible investigations into the modus operandi of security forces during the final stages of war which included bombing and shelling of hospitals, humanitarian objects and in places declared as no fire zones where many thousands sought safety. The Chief Minister of Tamil Nadu Honourable Selvi Jayaram Jayalalitha characterised the 2009 atrocities as genocide and called for an international investigation to punish the war criminals. The Northern Provincial Council of Sri Lanka passed a unanimous resolution in February 2015 confirming the commission of the alleged crime of genocide. The UN Panel’s final report on the human rights situation in Sri Lanka was published in the UNHRC session in September 2015. The report dealt with the alleged violations said to have occurred between years 2002 – 2011. The report “identified grave violations which strongly indicated that war crimes and crimes against humanity were most likely committed by both sides of the conflict.” The report as stated by the Commissioner “reveals violations that are among the most serious crimes of concern to the international community as a whole.” The report was compiled after the UNHRC appointed Commissioners conducted extensive investigations for more than eighteen months from March 2014. The comprehensive and damning report resulted in the USA and Sri Lanka’s joint resolution in the 30th UNHRC sessions in September 2015. The resolution made six proposals encouraging Sri Lanka and ten proposals welcoming Sri Lanka’s proposed actions which almost diluted the provisions of the earlier UN’s report and making them sterile and emaciated to enforce with fruition. The United Nations High Commissioner for Human Rights, His Excellency Prince Zeid Ra’ad Al-Hussein made an official visit to Sri Lanka in February 2016 to see for himself the progress regarding the implementation of the October 1, 2015 resolution. At the end of the visit the UN High Commissioner for Human Rights His Excellency Prince Zeid Ra’ad Al-Hussein emphasized that “it is the victims who must determine and feel that justice is done.” The High Commissioner “called for an impartial and independent court” without insisting on the hybrid court proposal which he strongly recommended in September 2015. The UN High Commissioner for Human Rights has thus acquiesced to the setting up of an internal mechanism by Sri Lanka which should be “impartial and independent” despite his earlier admitting the flawed functioning of the Sri Lanka’s judicial process reputed for impartiality and state bias. Following his visit two UN Special Rapporteurs, Honourable Monica Pinto and Honourable Juan Mendez, visited Sri Lanka in May 2016 and made the following important comments and recommendations. Among others Monica Pinto “requested more acceptable Tamil speaking Judges and police.” “Appointment of more state counsels and qualified translators to be assigned to tribunals to ensure fair trials and verdicts.” “Confessions under Prevention of Terrorism Act of 1979 should be coupled with supporting evidences,” to ensure truth in the judicial process. “To ensure that every person detained has access to a lawyer from the moment of arrest” which right should also be enshrined in the constitution and embodied in the legislation”. Honourable Brad Adams of Human Rights Watch criticized the recent setting up of an “office for missing persons without the promised consultations with families of the disappearance,” which has also been condemned by other civil groups. Now, after the lapse of eight months since the UNHRC resolution of October 01, 2016, the Sri Lankan government has neither initiated nor discussed the implementation of any of the recommendations of the resolution and this is not surprising in the face of the time buying tactics Sri Lanka employs and has employed successfully in the past. International scholars from various countries have already vouchsafed these deluding tactics of Sri Lanka and have called for the implementation of the resolution without delay. The LLRC [Lessons Learnt and Reconciliation Commission] Recommendations published in 2011 which are still kept untouched is one recent example to confirm the above allegations. From 1977, thirteen State Commissions of inquiry into various issues were appointed and their reports and recommendations found their safe place as archives only as stated earlier. The Sri Lankan government has now out-rightly rejected international participation thereby derailing a genuine process of accountability, besides foreign dignitaries and organizations have voiced their criticisms and skepticism as to the proposed actions of the Sri Lankan government regarding the question of justice, accountability and reconciliation. Making promises is a past time for the Sri Lankan government and ministers which has been happening since 1948, the most recent being the promise to repeal the Prevention of Terrorism Act made by Prime Minister Honourable Ranil Wickremesinghe and foreign minister Honourable Mangala Samaraweera which also appears to be hanging in the balance. Sri Lanka’s ethnic problem and past actions of Sri Lanka towards Tamils are now internalized with the United Nations, and United Nations Human Rights Council toiling to solve them, while Sri Lanka is expressing optimism to out manoeuvre any UN or UNHRC actions against it through promises and cooling diplomatic gestures. The world community will surely believe Sri Lanka while deserting the Tamils and allowing justice and accountability to lie in state prolonging their desperation and yearning for justice. Justice can only be achieved when accountability is upheld and dispensed with allowing room for reconciliation. The duty and burden to achieve the above solely and squarely lies on the United Nations and world community to translate their resolutions and calls with fruitful actions and results, thereby upholding human rights and mete out justice to the Tamils, not allowing political and economic interests to prevail over humanitarian issues. The UNHRC and UN thus carry out the duty and responsibility to ensure Sri Lanka`s compliance without any excuses. This is all the more urgent, as the UN targeted objectives of accountability, justice and reconciliation appear to be losing their hold on Sri Lanka. Sri Lanka also seems to have successfully cold shouldered the accountability and justice issues and is presently hanging on reconciliation which could also end up with half-hearted and unacceptable proposals for inclusion in the proposed new constitution. Thanks to opposition within and out of the Government, Buddhist clergy, Buddhist extremists and chauvinistic organizations which are mushrooming and always voicing protests and opposition whenever any remedial measures are offered to Tamils. Will the United Nations rein in Sri Lanka or continue to rely on its promises and allow it to continue the non-compliance and flouting of its own UNHRC resolutions with impunity?